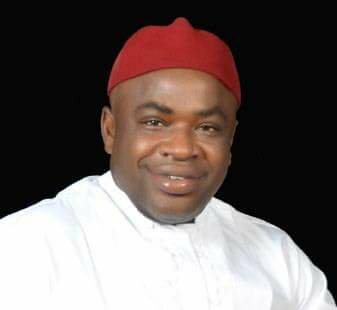 Chief Ndukwe Ikoh is an industrialist and a former governorship and House of Representatives candidate. He speaks on President Muhammadu Buhari’s chances in the Southwest in 2019 against the backdrop of his declaration of June 12 as Democracy day. He also speaks on other issues. There is this school of thought that believes that President Buhari’s pronouncement that June 12 would now be recognised as Democracy day instead of May 29 is belated and that he is doing that to curry the favour of the Southwest ahead of the 2019 election. Do you agree? There is no favour to curry from the Southwest because they are for the APC already. I don’t think South West should expect more than they have presently; they have the vice president, and all the governors in the zone apart from Ekiti State are in APC. I don’t think that there is anything to worry about South West’s loyalty to the president. In terms of what he has not done to deserve re-election, I don’t think any president has done more for the region than President Buhari. Just look at the constructions going on everywhere in South West. There are ministerial appointments from the region every now and then, so I don’t think there is any favour to be curried from there. What Buhari simply did was to announce the winner of the June 12 election which has been in the minds of millions of Nigerians. It is not a victory for the Southwest alone but a victory for the country. His critics have said that if the president was sincere, he should swear in Abiola post humously and ensure that INEC issues a Certificate of Return to his family? Do you agree that it needs to be done? Righting wrongs takes a lot of processes. The first process is just acknowledging that an election took place and that there was a winner. It is the same thing NADECO are clamouring for, but mind you, the president doesn’t have the powers to declare anybody the authentic winner but the electoral commission has that power. When that time comes, INEC will revisit their archive and thank God that Humphrey Nwosu who conducted that election is still alive and he will be called upon to work closely with INEC to get the official result and then, government will take it up from there. I urge every Nigerian to remove partisan politics from what Buhari has done. It is very unfortunate that many presidents have passed through Aso Rock without doing this and it is even more painful that some people are adding the time factor to this because election is very close. Which time would he have done it for people not to add a connotation to it? Now look at the day of the investiture, those who worked tirelessly to make sure that the June 12 issue, which is what Nigerians have been clamouring for, did not see the light of the day were absent and they have not even said anything about it. I am talking of somebody like former President Olusegun Obasanjo who worked tirelessly to make sure that June 12 never saw the light of the day. There are also others like Abdulsalam Abubakar and Ibrahim Babangida, the major culprit among them; he has never spoken. There is a conspiracy of silence among them because they know that the most courageous man in Nigeria today has taking the right decision. But do you think that Buhari deserves re-election? He deserves it 100 percent; he deserves it more than how Obasanjo wanted third term in 2007. For a long time, Nigeria has not had a structure of governance that encourages good financial management. I don’t know when you ever heard that JAMB, NEPA or even WAEC was generating any money; rather government continued to put in money into some of them. During recession, Customs reportedly generated money more than ever before, just because of the prudence and good financial management of the present administration. I think somebody whose government is doing all these should be given a second term. On security, we have plethora of problems there. For instance, when we were thinking that Boko Haram has been curtailed, the herdsmen issue surfaced. It remains a mystery how the herdsmen menace has remained. That is why I am tasking the government to do more work in that area. On corruption, the fact that two former governors were jailed 14 years each in less than two weeks speaks volume of what this administration is doing to fight corruption. Their trials started since 2007 and just three years into Buhari’s administration, they were convicted. That will show you that something is being done in the judiciary. We have been clamouring for a high-profile conviction and now we have them. I think we should applaud the present government instead of bringing partisanship into it. Anybody who is uncomfortable with them still remaining in detention can carry placards and peacefully demonstrate, but let me tell you; the government sees beyond what we see and there could be dangers associated with releasing them. The first duty of the government is to protect the nation. The court has not come out publicly to award any penalty against the government for not car- rying out the bail order and you don’t know why. Before El-Zakzaky was incarcerated, nobody knew about him and what he was do- ing in Kaduna, blocking roads against users whether you are a Christian, Muslim or any other person as long as you do not belong to his sect. By the way, where is the sect coming from? From Iran. Dasuki, on his own is a wit- ness to an ongoing investigation. Some of the people he accused of collecting money from hin came out and denied, while some owned up to collecting money. There is no way such an important instrument to the EFCC will be released. He should be kept in a place where he keeps giving such information. Obasanjo recently raised the alarm that his life was in danger and that Federal Government was perfecting plans to wrongly accuse him of fraud. Do you think the former president is raising the right alarm given that some people said he was just telling the government what it should know? The first alarm he raised was a letter through which he accused the government of what they were doing rightly or wrongly, especially in the fight against corruption. Then the president made a remark on the $16 billion allegedly spent on power during Obasanjo’s tenure, of which he replied that the president was ignorant; then the frame-up allegation came. I don’t know how he got the information. But if Obasanjo is coming to equity with clean hands, he shouldn’t have anything to worry about. If he has a case to answer, then he should wait for his day in court to answer it. There is nothing to be afraid of because we are in a democracy. Obasanjo is not above the law. His allegation that his life is in danger is a weighty one and if I am government, I will investigate it. He should tell us how and who is endangering his life. Saying also that somebody is trying to hang a charge on him is also grave. He has a lawyer and should approach court. Pure Lie. The Yoruba can never be fooled again. Buhari’s June 12 declaration as democracy day can’t win him south west votes. Let him go to Benue , Taraba , Adamawa , Nasarawa , southern kaduna and tell them he is seeking re election . These areas are living examples of where his fulani herdsmen Killers have murdered thousands of people.